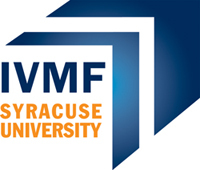 In recognition of the VA’s announcement of an additional $207 million for community-based organizations supporting homeless and at-risk veterans and their families, the Institute of Veterans and Military Families at Syracuse University (IVMF) is expanding its Community of Practice, community-centered efforts that support the VA’s mission to address veteran homelessness and prevent another generation of veterans from living on the streets. The IVMF’s new and expanded initiatives will increase the impact of the VA’s Supportive Services for Veterans Families (SSVF) grants by enabling grantee organizations to scale up their services and support more veterans and their families. Building on several years of successful IVMF technical assistance efforts for SSVF providers, the new Community of Practice provides assistance for organizations to achieve accreditation in their mission; empowers individual organizational employees through training and peer support; and recognizes and awards the best organizations for their efforts in this challenging mission. In New York State alone, the VA is infusing over $40 million per year for the next three years into select community-based nonprofit organizations to serve more than 10,000 homeless and at-risk veteran families. The Community of Practice will allow these organizations to address the needs of veterans and their families in a more impactful way. This fall, a new phase of IVMF’s work in support of all veterans will expand to select communities across the country. These efforts are aimed at transforming the way veteran and military family support organizations operate from their traditional, individual orientations to innovative, collectively organized and coordinated approaches, best-described as Service Provider Networks. The networks are bringing together nonprofits, government agencies and private partners to break down barriers and build connections to better address the needs of not just homeless veterans but the entire military and veteran community at a local level. In New York City, the IVMF has already teamed up with Services for the Underserved, one of the city’s best human services providers, Unite US, its technology partner and a leading innovator already partnering with the VA, and select private funders to address the unique needs of the city’s veteran families. For the last year nearly 50 community-based public, private and nonprofit providers have worked together to build, design and secure funding for implementation of this first Service Provider Network for veterans beginning this fall.